Learning Spanish and Inspired for Missions! This could be a great class for your home schooled children! Allow me to introduce myself: my name is Linda Valcarcel. Together with my husband, we served as missionaries in Spain for 38 years, and for the past three years we have been living in Decatur working with Hispanics. I teach Spanish to small groups of home-schoolers, ages 13-18 in our home. 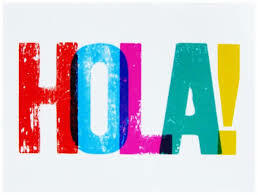 "I have learned more Spanish than I ever thought possible. Thank you for your patient teaching and making learning so much fun!" "You are the best Spanish teacher I could ever dream of having. Over the years, I have learned much from you. I hope to continue on for many more years with you as my amazing teacher!" If you are interested, please call (256-609-7026) or e-mail me (valcarcelspain@gmail.com). I would be glad to discuss the details of the class with you. The number of students I can accept is limited so please call or write soon. This info is posted FYI only. It is the family responsiblity to check out the appropriateness and safety of a class and its environment.